An employer must obtain and retain a certified copy of any one or combination of the original documents included in List A or List B (Group 1 and 2). Those validated from List A will require no further checks, however, documents provided from List B must be followed up when the document or notice expires. The Government has introduced a merit-based points system for assessing non-EEA nationals wishing to work in the UK. The system consists of five tiers, each requiring different points. Points will be awarded to reflect the migrant's ability, experience, age and, when appropriate, the level of need within the sector the migrant will be working. tier 5 - youth mobility and temporary workers (for example, musicians coming to play in a concert). 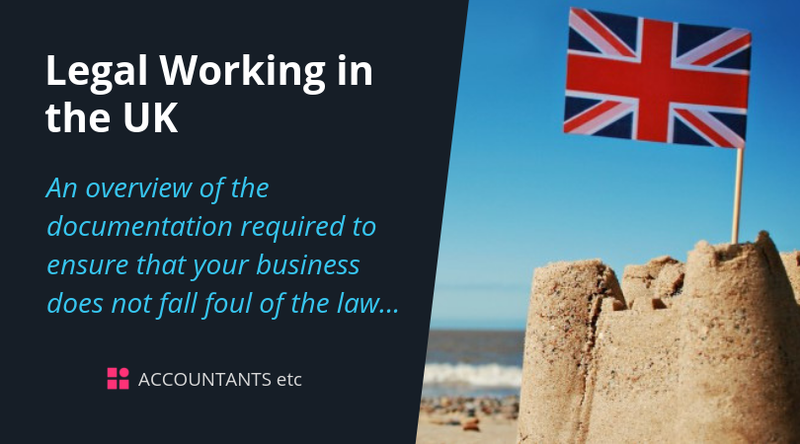 Under tier 2, the employer sponsors the individual, who makes a single application at the British Embassy in his or her home country for permission to come to the UK and take up the particular post. The individual’s passport will be endorsed to show that the holder is allowed to stay in the UK (for a limited period) and is allowed to do the type of work in question. UK based employers wishing to recruit a migrant under tiers 2 or 5: Temporary Workers will have to apply for a sponsor licence. To gain and retain licences, employers are required to comply with a number of duties, such as appointing individuals to certain defined positions of responsibility, having effective HR systems in place, keeping proper records and informing the UK Visas and Immigration (UKVI) if a foreign national fails to turn up for work. If you have any doubts as to whether documents are genuine or sufficient to prove an employee’s entitlement to work in the UK you are encouraged to access the Employer Checking Service, which is provided through the Home Office’s Employers’ Helpline: 0300 1234 699, or online service www.gov.uk/employee-immigration-employment-status. We will be more than happy to provide you with assistance or any additional information required. Please do not hesitate to contact us.